Give us a call at (786) 486-7200 or fill out the form below to check availability and pricing. We accommodate private charters, split charters, party boats and corporate charters. Charter fishing in Miami is an unforgettable experience as the tropical waters of South Florida are home to the world’s top varieties of game fish. There is an art to the craft that can only be learned by spending your life on the water, and the captain and crew of Fish Jumanji have done exactly that. We know the best depth, locations, lures, baits and techniques to use for that specific day to optimize the chances of you having the best charter fishing experience possible. When you fish with us, you will always feel like family. Your enjoyment is our only number one goal. Premium private charters start as low as $1080. Corporate / event charters start at $2,500. We also offer all sorts of promos and custom charters. On your private charter, you’ll get to the choose the type of memories you’re about to create. Would you like to catch a trophy Sailfish? Troll for monster Kingfish? Track down a school of Mahi Mahi? Head out to a shipwreck to fill the cooler full of multiple different species of Grouper and Snapper? Or do you think you have what it takes to prove your dominance over nature and reel in a man-eating shark? You decide. Come in a group or by yourself and we will provide you the with a great time at an affordable price. On a shared charter the captain will choose the best location based on whatever type of fish are biting. 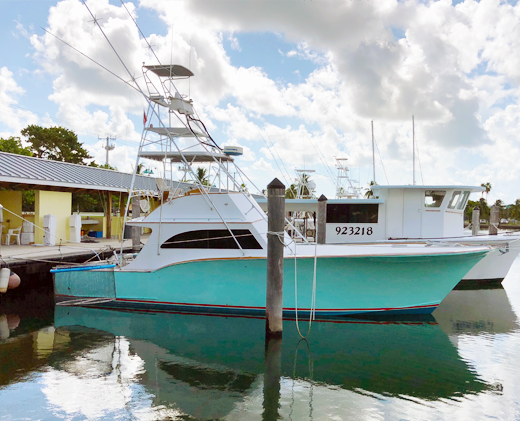 You can hook up to your favorite varieties, of Tuna, Snapper, Grouper, Sharks and many other different types of delicious game fish that call South Florida their home. There is no better way to incentivise and reward your organization than a corporate fishing event. You don’t have to know anything about fishing to catch a trophy fish that will be talked about for years. Everyone on the boat will build a bond and have a great time doing it. Our charters last anywhere between 4-10 hours, which will give you ample time to talk business while building personal rapport. Just book your charter, and we will take care of the rest. Fishing license, fish cleaning, ice, tackle and bait are all included. Our crew will be able properly identify any of the thousands of different types of fish that Florida Wildlife Commission (FWC) helps protect. South Florida is home to a plethora of game fish and learning how to become proficient at catching different species and sub varieties of game fish is a lifelong journey. That’s why we provide the public with tips on where the fish are biting, the types of baits to use, how to tie different knots, and make different rigs. Once you start consistently catching large game fish you’ll understand why “salt life” is more than expression, it’s a way of life. Please write your query below or call (786) 486-7200.